Town of Oxford – The Town of Oxford will work with the National Wildlife Federation to design “green” infrastructure practices that address coastal storm impacts, tidal flooding, and stormwater runoff on private and public properties. Worcester County – Worcester County Commissioners will address recurrent flooding and sea level rise along Selsey Road and the Cape Isle of Wight community through a natural shoreline stabilization and marsh restoration project to be built with local dredge material. 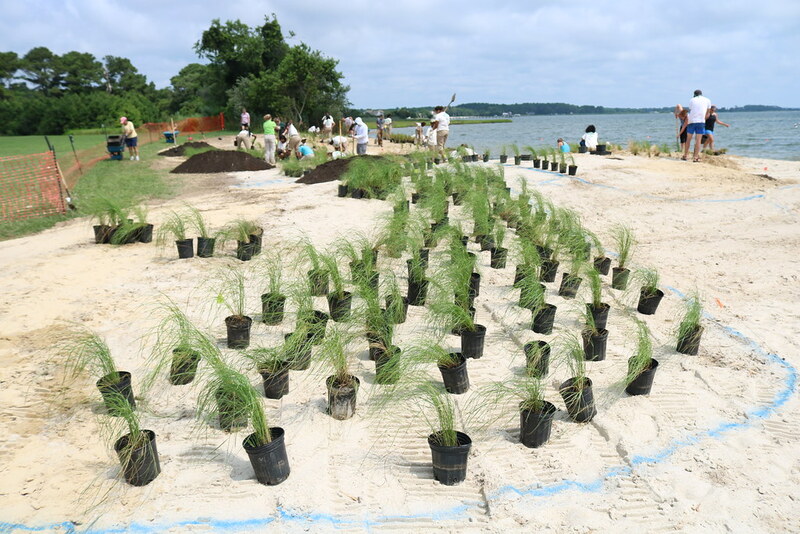 Worcester County, Tizzard Island – The Maryland Coastal Bays Program will address erosion and sea level rise through a comprehensive island resiliency plan and design that builds coastal resiliency and wildlife habitat on an island environment in Chincoteague Bay. These design projects are part of a larger Resiliency through Restoration Initiative, which also supports restoration targeting, climate-resilient designs, monitoring, adaptive management, community outreach and education.